Opposition parties forging coalitions to defeat the Alliance or the BN has also been happening for a long time. A partnership of two left parties, the PartiRakyat and the Labour Party called the Socialist Front for instance did fairly well in the 1959 General Election. 40 years later there was a more earnest attempt to create a four party coalition comprising PAS, DAP, KeAdilan and PartiRakyat. Named the Barisan Alternatif (BA), the coalition sought to mobilise voters in the 10th General Election in 1999 through allegations of abuse of power and authoritarianism against Dr. Mahathir Mohamad and the BN. The ‘black eye’ of the incarcerated Anwar Ibrahim was a major rallying point for the BA.The BA, specifically PAS, made some electoral gains notably capturing the state of Terrenganu. What exacerbated the trust deficit was the conduct of the election itself. As in 2013, Najib campaigned as if he was in a presidential race where everything is focused upon him. Since there was already a trust deficit, it weakened his position further. 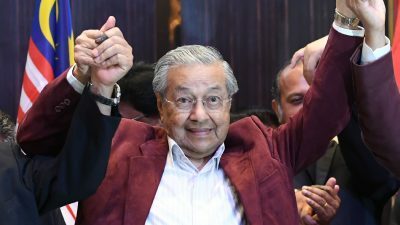 The temporary dissolution of Mahathir’s party by the Registrar of Societies and the ban on his image in the campaign by the Election Commission intensified the anger among voters. Most of all, it was the viciousness with which Mahathir was savaged in the government linked media that increased their disgust towards the incumbent. There was a total lack of manners, of courtesy which is so integral to Malay culture. This gross, crude violation of ‘adab’ in Najib’s campaign cost him dearly. 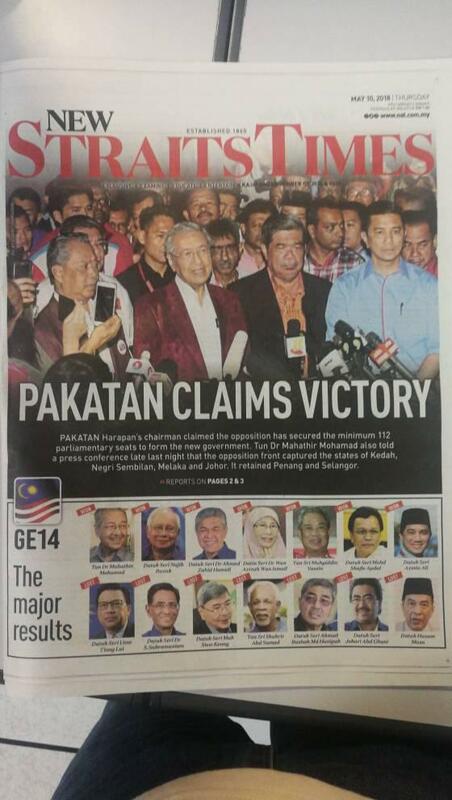 For Pakatan to implement the onerous tasks ahead, there will have to be internal cohesion. This is especially true of a coalition like PakatanHarapan. It stands to reason that Dr. Mahathir be given a bit of time and space to strengthen the sinews of the coalition as it leads the quest for a better Malaysia. Dr. Chandra Muzaffar is the President of the International Movement for a Just World (JUST) and Research Associate of the The Centre for Research on Globalization (CRG).